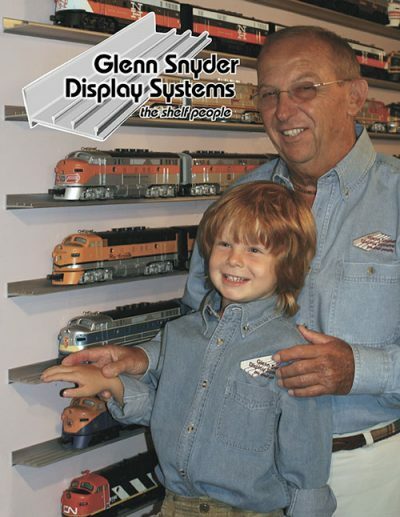 Glenn Snyder Display Systems are a self-contained, satin finish extruded aluminum model train display shelf, which are compatible with similar shelves. Display your trains, not your shelves! 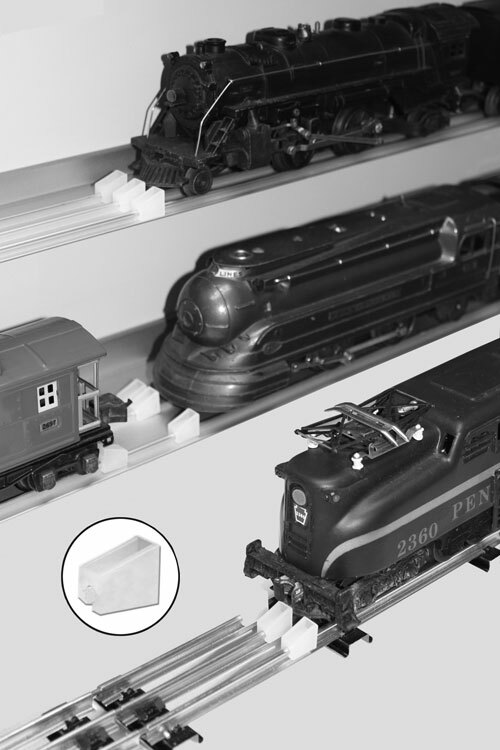 The GSDS Display Shelves are hardened and engineered to support the heaviest of toy train locomotives and they fasten to your walls without the use of any brackets. Raised rails hold your trains in place. The anodized finish will never chip or oxidize and is easy to clean. This product is made in the USA. 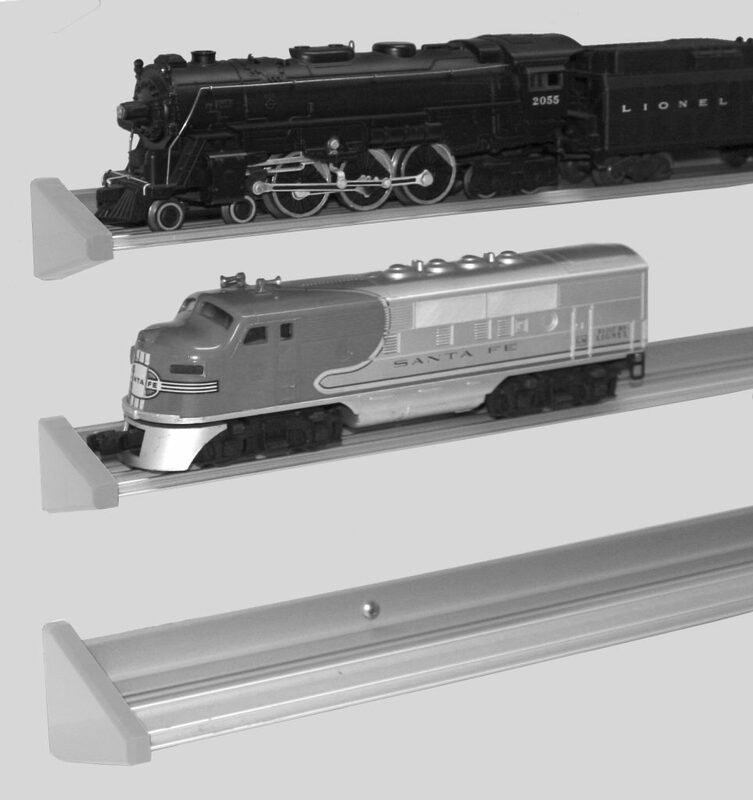 Glenn Snyder Display Systems are available in combination HO/S gauge, O gauge, and combination O/STD/LGB gauge in six-foot lengths. 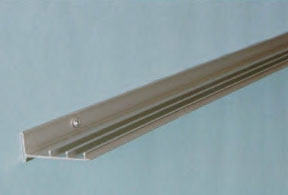 Joiner pins are supplied to combine sections for longer lengths. Special cutting is available at $1.00 per cut. You have a choice of rail stops or rail endcaps. UPS shipping charges are additional. 8.75% sales tax will be collected for orders placed in New York State. No Paypal, credit cards, or debit cards -- checks only!